Follow/Join the N11 heading south towards Wexford Town. At Wexford town, enter roundabout and take 1st exit, signposted for Wexford Town. Follow the road, you will pass through a set of traffic lights outside Wexford General Hospital - continue straight. At the next set of lights, keep left down the hill. At the mini roundabout, take second exit. Follow the road past the entrance to Wexford County Council's Head Office, be sure to get into the correct lane for the QUAY. Continue to follow the road, ensuring that you remain in the correct lane for the QUAY as you pass through Redmond Square (Dunnes Stores will be on your right, then the Train Station will be on your left). On the Quay, keep left to enter the correct lane for crossing the bridge. Continue to follow the road for approx 5 miles until you reach the village of Castlebridge. In the centre of Castlebridge, keep right at the bridge to head towards Gorey/Dublin (R741). Once past Castlebridge, watch for Keating Insulation and Signature Signs, which will both be on your right. Once past Signature Signs, take the next right turn at the crest of the hill. Follow the road for approx 1/2 mile. 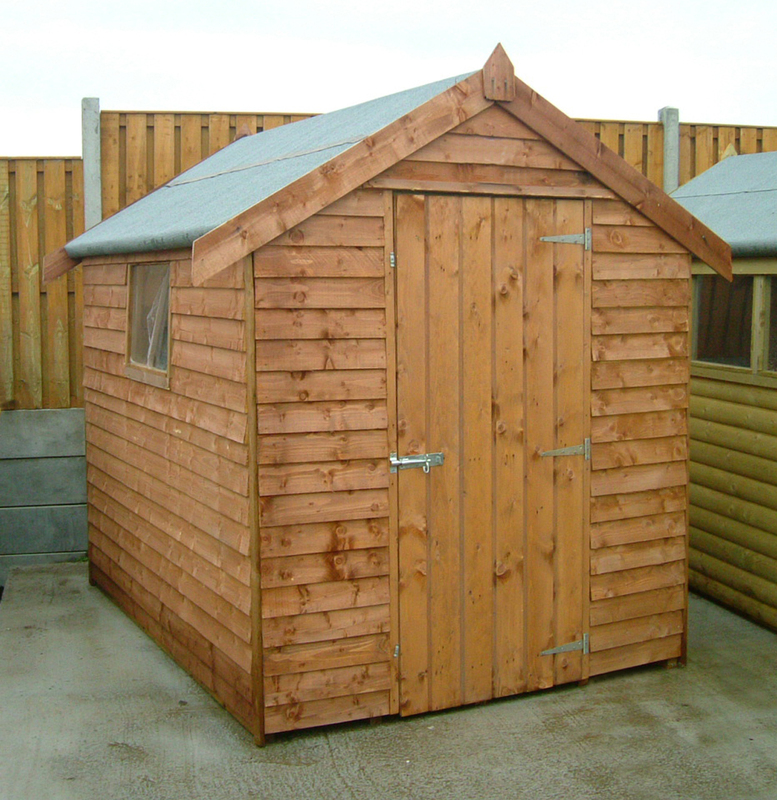 You will see ShedWorld on your left slightly below the line of the road! Follow/Join the N25 heading east towards Wexford Town / Rosslare. At Wexford town, enter roundabout and take 2nd exit, signposted for Wexford Town. Continue as above (Dublin Directions) from step 3. 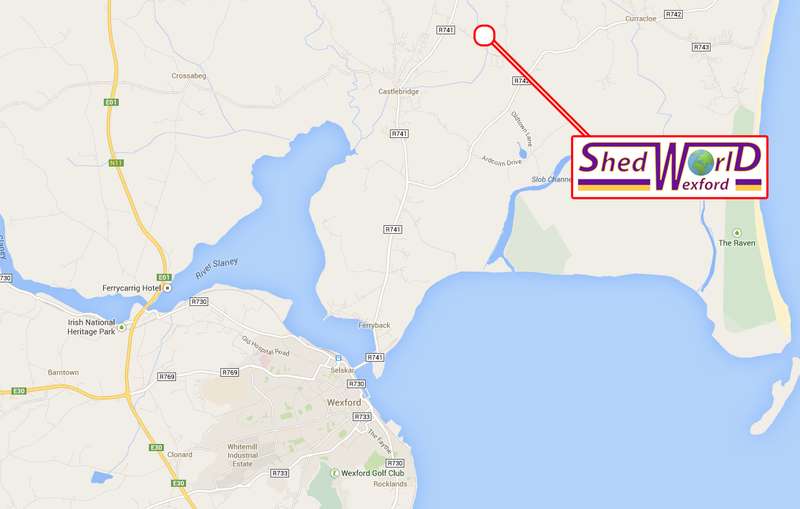 Follow/Join the N25 heading north towards Wexford Town. Follow the road for approx 5 miles into Wexford town. On the Quay in Wexford, continue to Wexford Harbour Bridge, ensure you are in the correct lane, then turn right across the bridge. Continue as above (Dublin Directions) from step 9.